Arts & Crafts has been celebrating its 10th anniversary this year and has now made the family a bit bigger by signing Calgary's Reuben and the Dark. A press release confirms the Albertan indie-folk outfit have inked with the imprint, though it's currently unclear when the quartet will issue their official label debut. The business move is currently being promoted with the band's dark and sparse single "Shoulderblade," which they issued online last fall, so presumably that song will figure on a release somehow. You can see the video for the song down below, where you can also stream or download the track in a SoundCloud player. 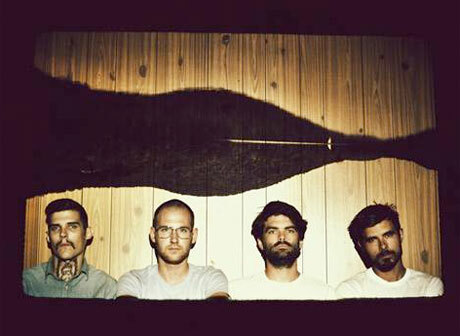 Led by singer-songwriter Reuben Bullock, the band's last LP was 2012's Man Made Lakes. Reuben and the Dark have a handful of club and festival dates running between June and August, and you can see the details down below.